Purple Class have made a great start to the new term at Turney School with some wonderful literacy work and ideas coming from the children. We have started to read our new class book, Walking Through the Jungle. This is a fun story that introduces the pupils to many different types of animals. We have been looking at these characters in great detail, asking the children to describe what they look like, and also to think about the different sounds that each animal might make. Purple Class have been sorting animals into different groups and then looking at defining features such as the number of legs or the size or the colour. Each animal has held a great fascination for the Purple Class pupils! We have used this as an opportunity for the children to work independently and make a personal choice about their own favourite animal. We have a great number of animal resources in Pupil Class. Each child has been encouraged to make a choice out of the toy bag. 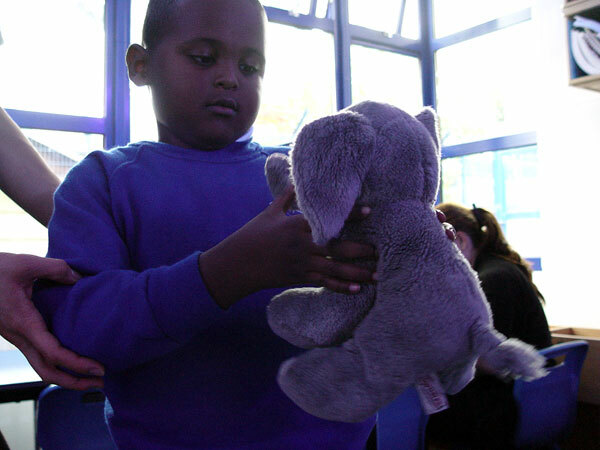 We then ask the pupils to describe each toy. Is it hard or soft? What does it feel like? Is it a large or a small animal? Purple Class have also made some good progress with money and counting skills. We have introduced to the children to the idea that some money can come in the form of coins, whilst for higher amounts we work with notes. 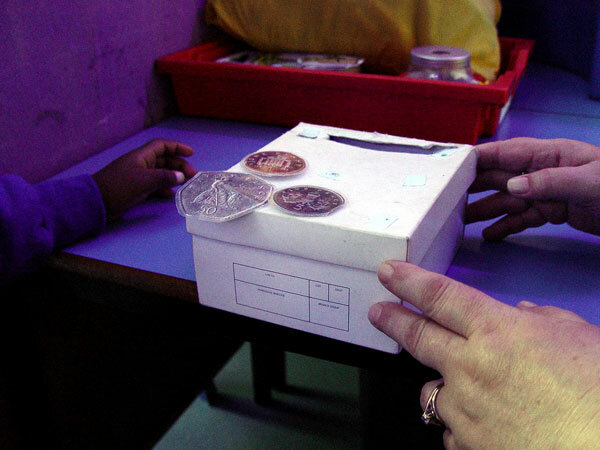 The children have been selecting a certain amount of money, and then posting this into the Purple Class moneybox.